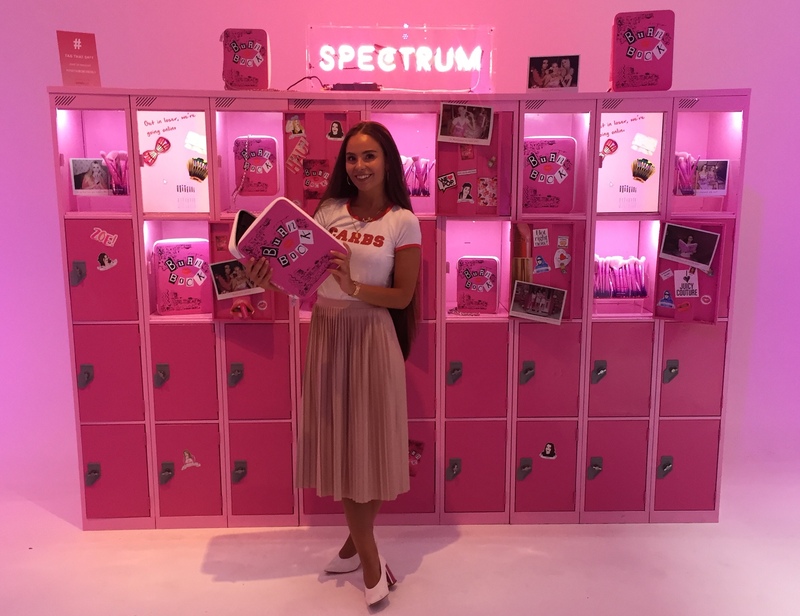 Following weeks of working on a guest list comprised of key media contacts and the hottest celebs and influencers, amongst organising other details, too, last Wednesday, we were London bound for the launch of the brand new official Spectrum x Mean Girls collection. 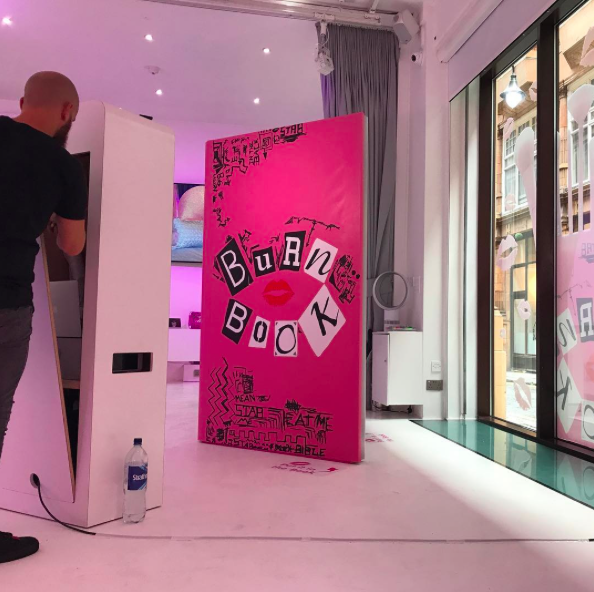 After an early start, we were fuelled by excitement for what was undoubtedly going to be a great event and as we arrived at the venue, Ice Tank London, we weren’t disappointed – a crew was already hard at work building a giant Burn Book and complete set of on-brand hot pink school lockers. We were immediately immersed into the world of Mean Girls. A few hours of preparation later, the prosecco was opened, the venue was dressed, the gift bags were filled to the brim, there were sweet treats everywhere you looked and everything was pink, obvs. Team Spectrum do not do things by halves, and the space looked genuinely amazing – it totally made fetch happen. As soon as 6pm approached, the room began to fill up with guests enjoying Burn Book cocktails, browsing the new collection and mingling with the cast lookalikes (she doesn’t even GO here). Shortly after, the party was in full swing and the celebs began to arrive for their peek at the new collection. 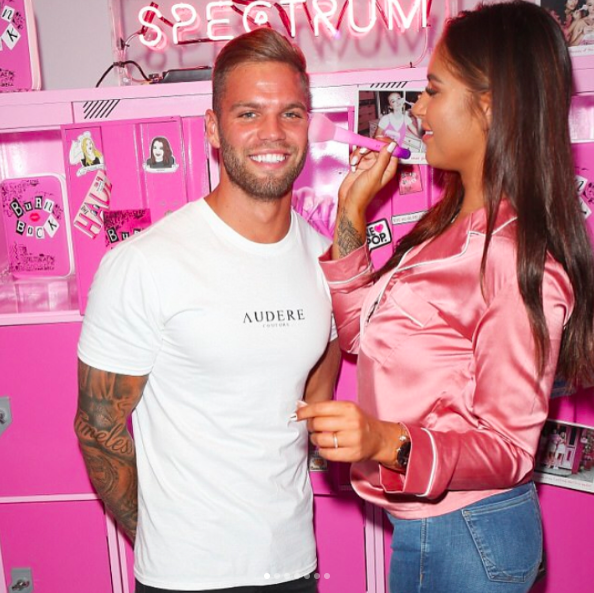 We were joined by Lucy Watson, Kady McDermott, Lucy Mecklenburgh and Love Island’s hottest couple, Jess and Dom, amongst others, making the evening into a star-studded event. We were thrilled by the turn out, and absolutely loved that everyone stuck to the dress code (on Wednesdays…) – the Spectrum team looked especially amazing, with sisters Sophie and Hannah sporting head-to-toe tones of pink, Spectrum Burn Book cases dangling at their hips and Hannah sporting a ‘fugly’ slogan jacket. 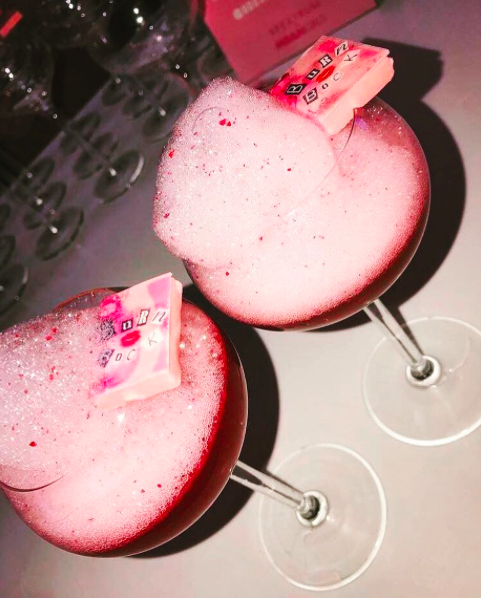 It was fab to see everyone enjoying their evening and filling the oversized Burn Book with print outs from the photo booth and Mean Girls quotes. The evening whizzed by until eventually, the time was approaching the venue’s curfew and the goody bags had been gifted (and none for Gretchen Weiners, bye), but the party was still going strong! It seemed like a shame to un-do all of the hard work that went into building our very own North Shore High School, but it was time for the teams to get started with the break down. 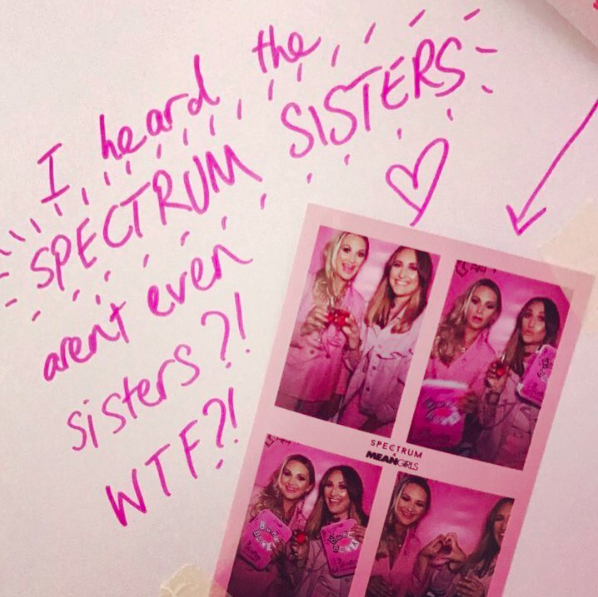 We had a great time working the event and are pretty sure that our guests did too, you can check out some of the Insta snaps with the hashtag #SpectrumXMeanGirls, but just a heads up, you will want the whole collection, available 30th August exclusively at www.spectrumcollections.com.